The Chop Shop is a New York “stripped-back urban style” restaurant brought to London's Haymarket by the Altamarea Group, headed up by Operations Director, Will Guess. The “exceptional experience” restaurants, which first opened their doors along Fifth Avenue, Broadway and in Washington DC can now be found as far afield as China. 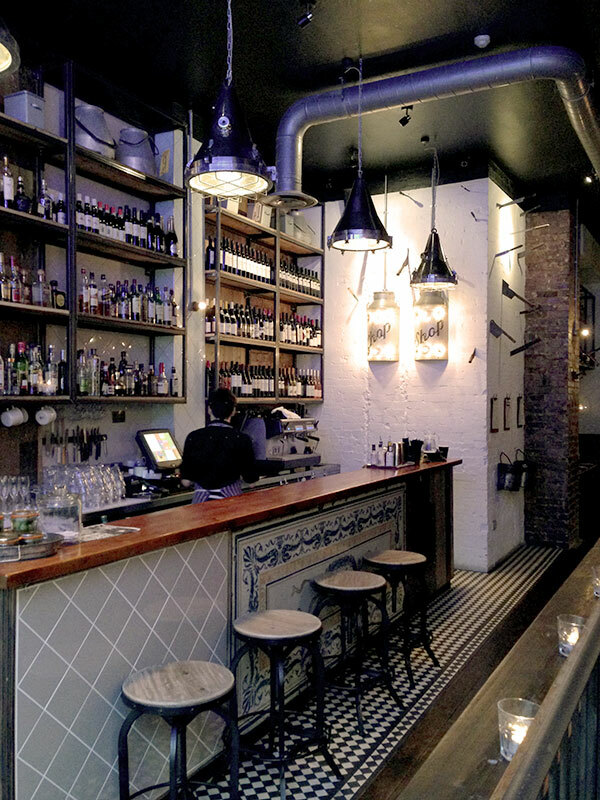 Chop Shop offers a wide selection of New York City pre-theatre favourites, including ‘Steaks and Chops’, Morini Meatballs and the Patty Melt Burger Sandwich. Snacks and bites are served “in jars” alongside “planks” of selected cheeses or charcuterie. 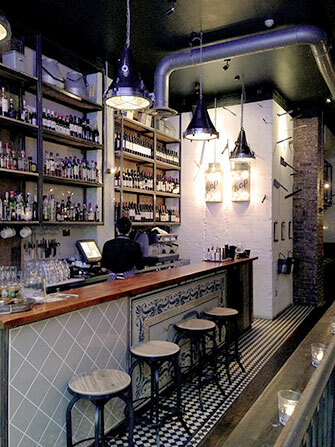 A wide range of House cocktails, “inspired by both New York and London” are available to tempt out-on-the-town diners. From ‘Royal Blush’ – absolut vodka, mint, fresh lime and morello cherry sparkling wine - to ‘The Haymarket’, a version of the famous ‘Manhattan’, mixing buffalo trace bourbon with dolin sweet vermouth. Sound Division were recommended to the Altamarea Group by IT company, Wizzard, to design and supply a simple two zone background music system for both the ground floor and basement dining rooms. Eight compact JBL Control 25AV loudspeakers were located throughout the two floors, driven by a pair of Crown Amplifiers and sound managed via a Cloud CX263 Zoning mixer. 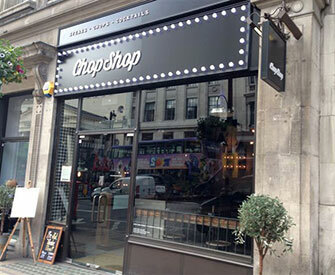 Since launching in September 2013 to numerous rave reviews, the Chop Shop has become a firm favourite on the West End food and cocktails circuit.